A.I. more advanced than human intelligence? Interim poll results say…one day…YES! 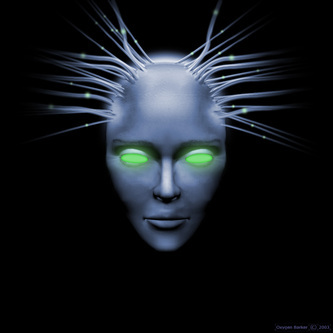 Do you believe A.I. (artificial intelligence) will ever be more advanced/sophisticated than human intelligence? That’s the question we put in our latest poll to members of our Underground Knowledge Discussion Group on Goodreads.com. Most respondents to date have answered “Yes” to the question. In posting this most intriguing of questions, we suggest fellow ‘Undergrounders’ (group members) consider whether AI will ever surpass humanity “over all” — meaning AI might be able to beat human intelligence in isolated fields like a game of chess, but can it ever be more advanced in almost every other intellectual field? 53% say Yes / 37% say No / 10% are Unsure. I believed No before that the machine can transcend the capability of human brain. But I think there is a possibility that the machine can transcend the human brain by studying the bain mechanism from the standpoint of superluminal particles. In some future, we will obtain the technology for superluminal physics which can manupulate superluminal particles, which can lead to the realization of HAL 9000 in this world. I voted NO in this poll and believe AI will never beat human intelligence. Reason being in my opinion (which is really just a gut instinct) is that human intelligence has an indefinable creativity inbuilt in it that is unprogrammable. I think it’s a matter of how you define “intelligence.” In terms of storing knowledge, we’re already there. My desktop “knows” a whole lot more than I do and databases store more than we could ever remember and then, of course, there’s Wikipedia. Synthesizing data is slightly more complex, but certainly possible given enough “if-then” statements. A certain level of morality can be programmed relatively easily…However, creativity and having emotions are another story. Those define us as humans and individuals. It’s also the driving force behind most of our actions. How much that can ever be imbued in a machine or robot is another story.